Perpendicular bisectors are a particularly important construction. An example of where they can be used in real life would be to determine the best possible spot to place a cell phone tower so that the three surrounding towns all receive the same level of service. A perpendicular bisector is a line that divides another line into two equal parts at a right angle. Here are the steps to constructing a perpendicular bisector of a line. Put the point of the compass on one endpoint of the line and use the pencil side to draw a small arc on the top and the bottom of the line. Without changing the width, repeat this step using the other endpoint of the line. The arcs should intersect at a point above and a point below the line. Using the ruler, connect these points with a straight line. This is your perpendicular bisector. 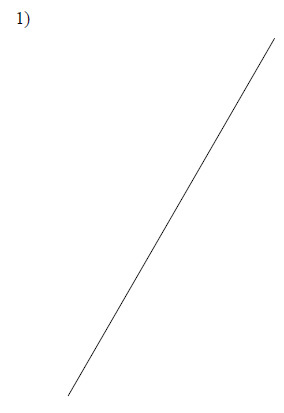 Perpendicular bisectors can be used together to create properties that would help with situations similar to the above example of the cell phone tower. The spot where all three perpendicular bisectors of a triangle intersect is called the circumcenter. A circumcenter is equidistant (or of equal distance) to all three vertices, or corners, of a triangle. Here are the steps to constructing a circumcenter of a triangle. 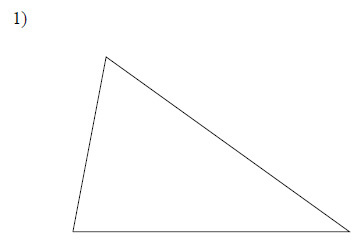 Repeat the above steps and construct the perpendicular bisector of one of the sides of the triangle. You can construct the third perpendicular bisector for added accuracy, but you only need two to find the circumcenter. The circumcenter is the spot where the perpendicular bisectors intersect. It can be inside the triangle, outside the triangle, or right on one of the sides of the triangle. This point in the triangle is called the circumcenter because if you were to circumscribe a circle around the triangle, the circumcenter would be the center of this circle. To circumscribe is when you draw a figure around another enclosing it while connecting all the points. Here are the steps to circumscribing a circle around a triangle. Repeat the steps of finding the circumcenter. Place the point of the compass on the circumcenter and the pencil side on one of the vertices of the triangle. Carefully, use the compass to draw a circle around the triangle. The circle should enclose the whole triangle while connecting all three vertices. Construct the perpendicular bisector of each. 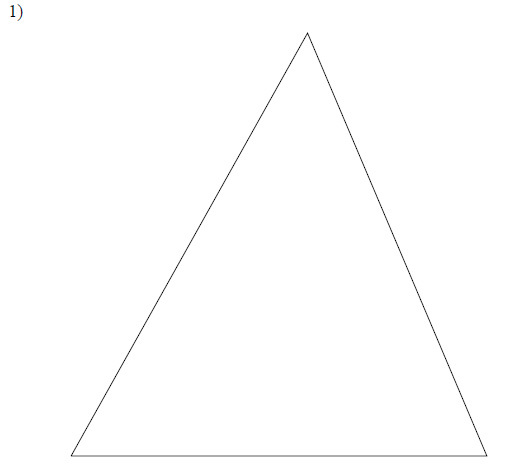 Locate the circumcenter of each triangle. Circumscribe a circle about each triangle.